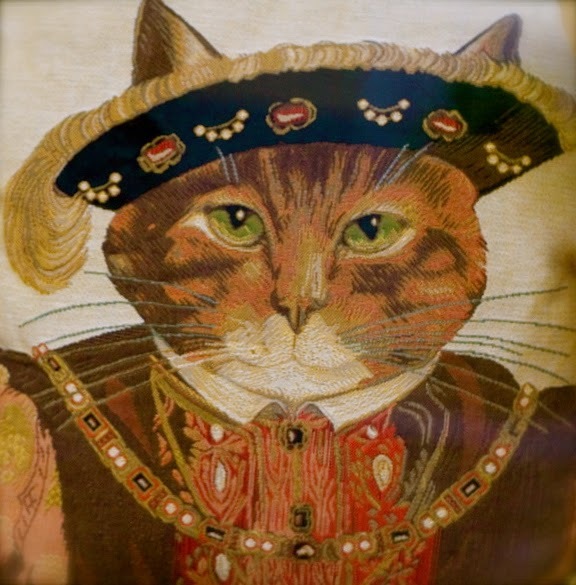 Henry VIII acted like an animal at times, but not while dining. Yes, even many “etiquette experts” get it wrong. One was quoted as saying this, upon the release of his 2013 book of etiquette: “In Henry VIII's time it was good manners to chuck lamb bones over one's shoulder for the greyhounds to feed. That would cause raised eyebrows these days.” Au contraire, mon frère! 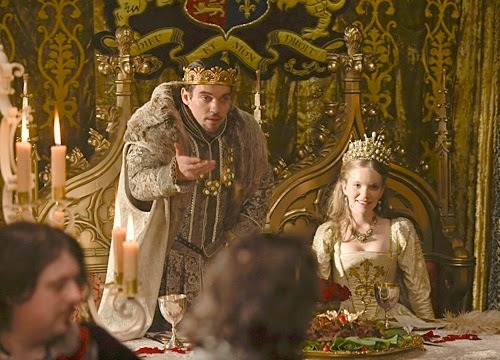 When it comes to table manners, we have no grounds to feel superior to Henry VIII. There are two ‘facts’ that everyone knows about Henry VIII, who was crowned 500 years ago. First that he had six wives. Second that he was a terrible glutton, gnawing on vast haunches of meat at a great table and tossing the bones greasily over his shoulder. We need to modify this second ‘fact’. Tudor food was far more subtle and refined than the clichés allow. In Hilary Mantel’s magnificent new novel, Wolf Hall, set largely at Henry’s court, the food is so vivid it practically becomes an extra character. Courtiers spoon up junkets, and quinces stewed with honey. They eat syllabubs; poached chicken breast in a tarragon sauce; ‘fat brambles with yellow cream’; and roasted Warden pears. Mantel rightly depicts Tudor dining as a considered affair, where what is eaten reflects not just taste but rank. Mantel imagines Anne Boleyn when she is the king’s mistress, mischievously purloining a ‘fine aged cheese’ given as a gift by the Spanish ambassador to the Queen, Catherine of Aragon. First Anne steals the cheese; next the husband. Let's get something straight... I may have had several wives, but that doesn't make me a terrible glutton, gnawing on vast haunches of meat and tossing bones greasily over my shoulder. Both Anne and Henry were great lovers of fruit, particularly cherries and strawberries. Henry is known to have liked quince marmalade and orange pies. In 1534 his household bought an orange strainer, a sign of how often zingy citrus – then a luxury – made its way into his diet. Damsons and grapes were brought from the gardens at Richmond Palace to Hampton Court. It was Henry who introduced apricots to Britain, planting espaliered trees at the garden of Nonsuch in Surrey. He loved artichokes, too, and employed a Flemish gardener to grow salad vegetables for his table. What of his paunch? There’s no getting away from the fact that vast quantities of meat were delivered to Henry’s kitchens. The annual provision of meat for the Tudor court included 8,200 sheep, 2,330 deer and 53 wild boar, not to mention countless little birds (teal, cygnet, gull and shoveler, as well as quail, pheasant and chicken). But this was not, needless to say, all for the king’s personal consumption. At Hampton Court 600 courtiers were entitled to eat twice daily in the Great Hall. As for the king, he dined in the relative quiet of the Privy Chamber, where – after the master cook had first checked them for poison – he enjoyed such dishes as baked lampreys or cream of almonds. From "ABC's of the Human Body"
So, far from rudely gobbling haunches, the king observed complex etiquette. True, there was at least one occasion when Henry threw sugar-plums at his guests, and, given the gallons of sweetened wine consumed, meals must sometimes have got out of hand. Yet the general rules of table were politer than our own. If Henry overindulged (and surely he did, his waist thickening to 54in after a jousting accident in 1536), he did so with aplomb. Hands were washed before, during and after every meal. He had a special fingerbowl – heated in a chafing dish – and a designated napkin to protect his fine ‘manchet’ bread roll. When he had eaten enough, he stood and washed his hands while an usher brushed crumbs from his royal person. We could do with such a service in my house, where we often rise from dinner in a shockingly greasy and crumb-bespattered state. 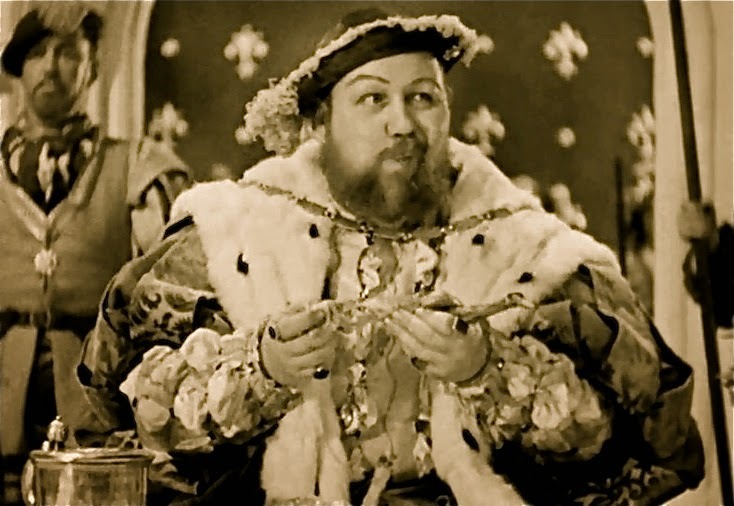 When it comes to table manners, we have no grounds to feel superior to Henry VIII.